Dragon Challenge closed September 4, 2017 to make way for an all new family thrill-ride in the Wizarding World of Harry Potter: Hogsmeade. Universal claims this new highly themed roller coaster will be unlike anything they’ve ever done before. 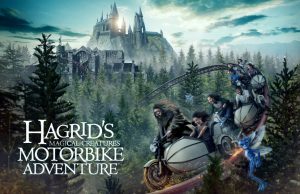 Universal Creative is again collaborating with Warner Bros. and the production design team from the Harry Potter films to bring this attraction to life. It will take place in the Forbidden Forest where you will encounter magical creatures. About the Ride: Intamin is building this multi-launch coaster which will feature both outside and inside scenes, highly-themed environments, and animatronic figures.